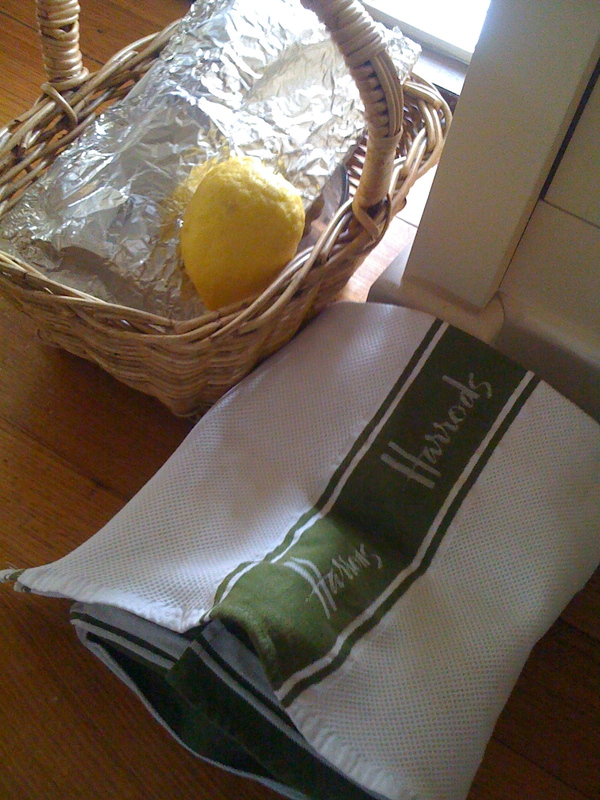 My sister-in-law sent me home from her house recently with a big bag of the largest lemons I have seen for ages, she had picked them from her lemon tree in the garden that was groaning under the weight of the fruit. They were huge and smelt gloriously lemony. 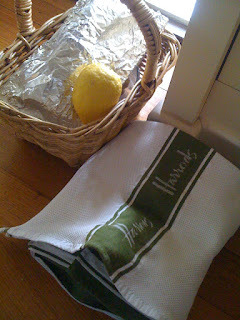 They sat in my fruit bowl looking very pleased with themselves for a week – each time I looked at them I felt guilty – what could I cook that was easy but that would do them justice - A lemon tea cake of course! An English friend of mine brought this cake to my house in a "Random Bake of Kindness" (click on the site to take you to Prepped) and said the recipe was given to her by a friend of a friend of a friend but she thought it was originally published in an Australian Women’s Weekly . 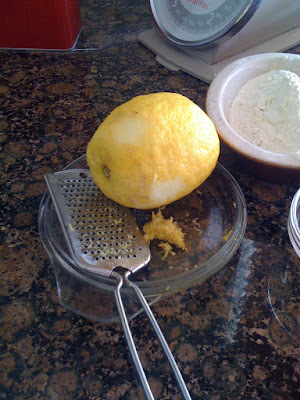 The lemon zest smelt just as you expect lemons should and they were so big and juicy only half was needed for the ingredients. Prep and cook time 50 mins. 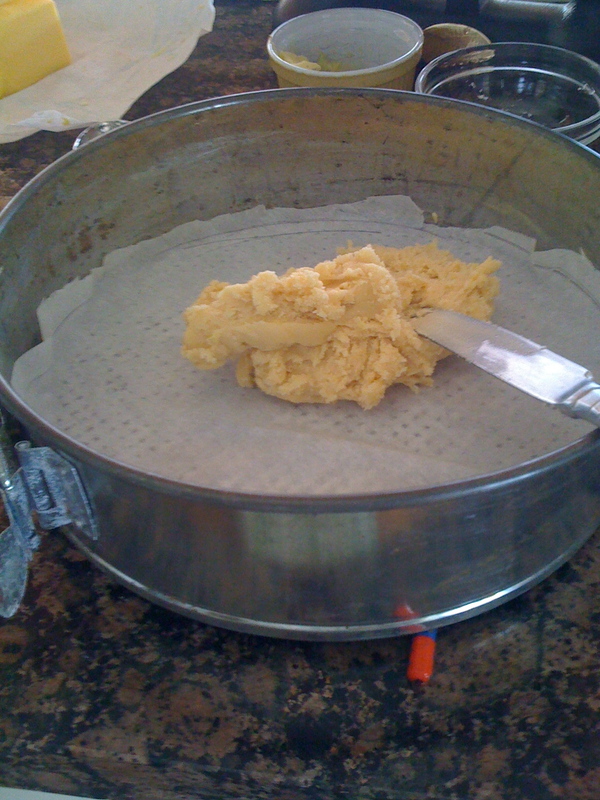 Preheat oven 180 C or 160 C fan-forced and grease a 18cm springform cake pan and line the base with baking paper. 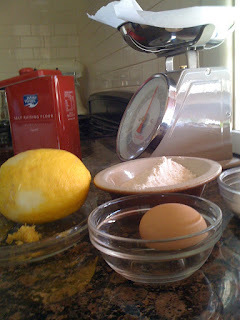 Combine flour and caster sugar in a medium bowl. 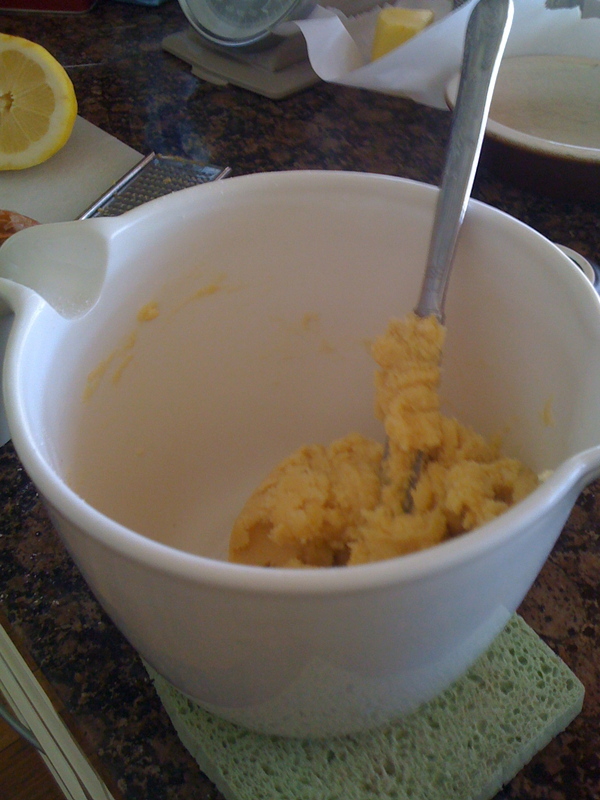 Rub in the butter until the mixture resembles breadcrumbs. 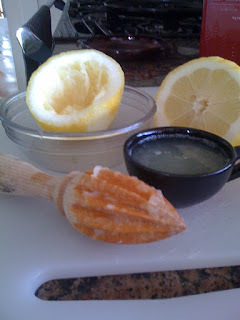 Stir through lemon rind. Add egg and stir until combined. Press 2/3 of the mixture over the base of the prepared pan. 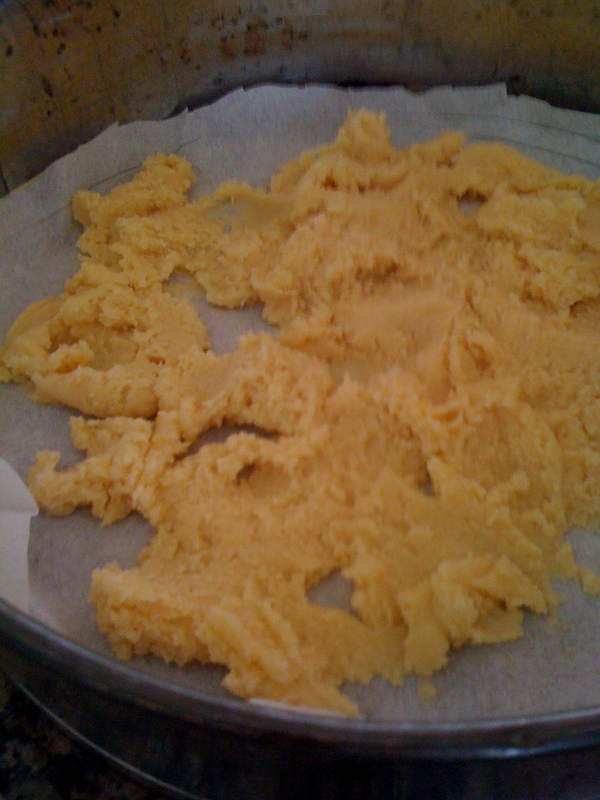 Combine the cornflour and water until smooth. Place in a small saucepan with the remaining ingredients. 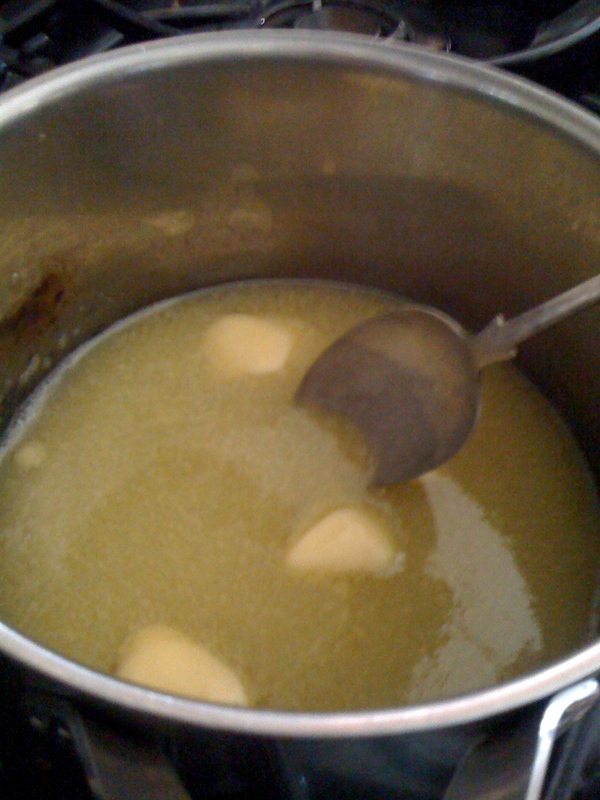 Stir constantly over low heat until mixture thickens and boils. 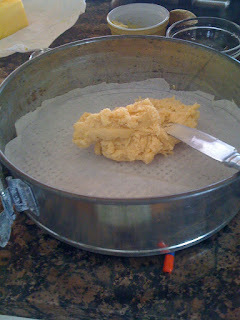 Pour hot lemon filling over the base of the cake pan. Crumble the remaining base mixture over the top of the filling. Bake for 35 mins or until browned. Cool cake in the pan. Serve at room temperature and serve with cream. 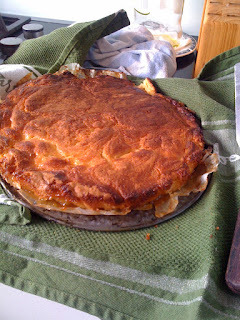 It is a fail safe cake – it doesn’t rise very much but is delicious in all its “lemoniness”. I took this cake to another friend’s house last weekend -my “Random Bake of Kindness”. Yes please, one slice, I'm just back from work, had my lunch and drinking my tea - a slice of this would really go down well now. 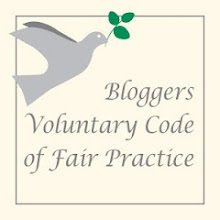 One minute your latest post was there then the next (when I went back to re-read and leave a comment) it was gone! Anyway, thank you for suggesting that you would give me all the cupcakes!! Have you looked on Peggy Porschen's website and seen her pink shop? What I wouldn't give to have a shop like that!! One day. I love anything lemon! 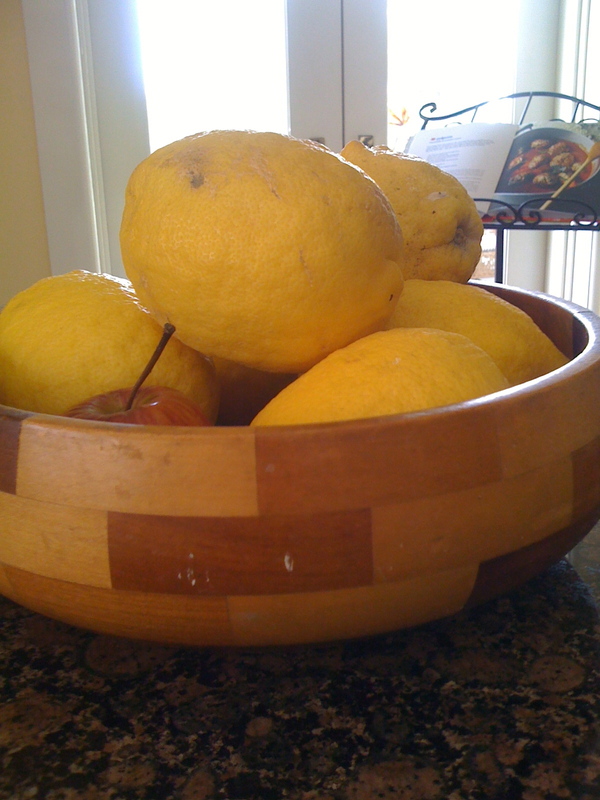 I have recently discovered the joy of cooking with lemon oil which gives a wonderful flavor to whatever it is added to. This recipe looks great and I will have to try it! The zingy lemony smells must have been wondeful. I have Vanessa's Prepped cookbook. Its good - I tested the Lavender Bread for her. 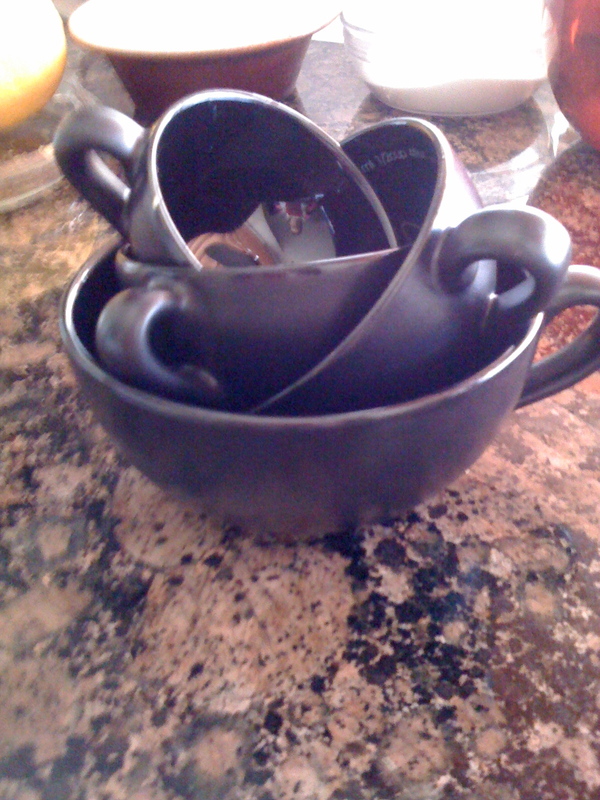 Oh I mean't to add that I love those measuring cups too. Looks delicious....will definately be trying this one!